If you’re looking for old-time glamour on Hollywood Boulevard, you would be sorely disappointed. But one place where you can get a glimpse Hollywood’s glamourous past is definitely the El Capitan Theater, right across from the Kodak Theater, home of the Oscars. The El Capitan is an exclusive first run theatre for Walt Disney Pictures. It hosts live stage shows, world premieres, and other special events that have helped restore showmanship to Hollywood Boulevard. “Beauty and the Beast” 3D along with Disney’s all-new animated short, “Tangled Ever After,” is currently playing at the El Capitan Theatre in Hollywood with a special live appearance by Belle before each show! Guests can also experience “Story Time with Belle,” and enjoy snacks and beverages with her as she reads to them in the Beast’s own library, magically transported to the lower lounge of the El Capitan Theatre! This event occurs at 8:30 am and 11:30 am (weekdays) before the 10:00am and 1:00pm showings of “Beauty and the Beast” 3D and 11:30 am Saturday and Sunday before the 1:00pm showing of “Beauty and the Beast” 3D. Seating is limited and reservations are required. 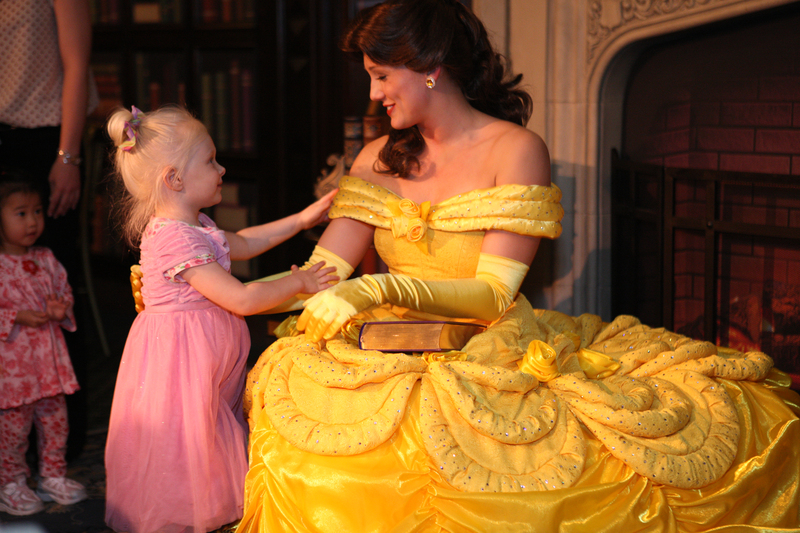 Tickets for “Story Time with Belle” are $20.00 in addition to the cost of your movie tickets. Daily showtimes are 10 a.m., 1 p.m., 4 p.m. and 7 p.m. Tickets are on sale now, and available at the El Capitan Theatre (6838 Hollywood Blvd. ), online at www.elcapitantickets.com , or by calling 1-800-DISNEY6. Special group rates for parties of 20 or more are available by calling 1-818-845-3110. Showtimes subject to change. ← Previous Previous post: 12 Days of Holiday Fun: What are you doing New Year’s Eve?